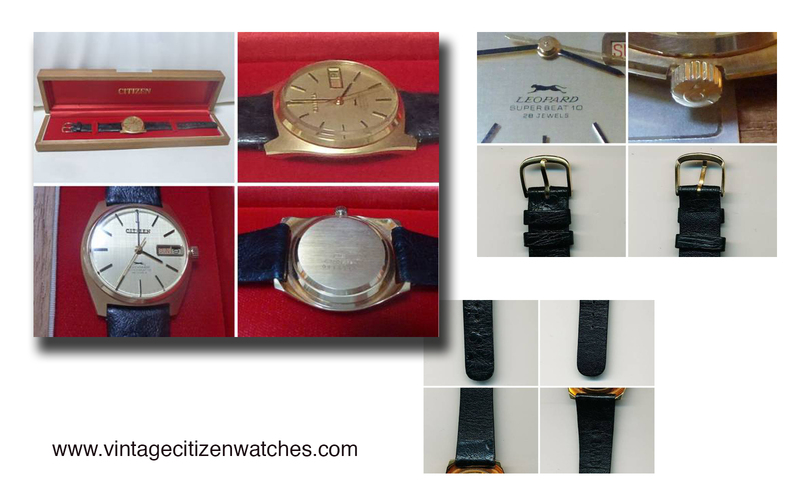 When you say the word Leopard next to Citizen you know this is a special one. 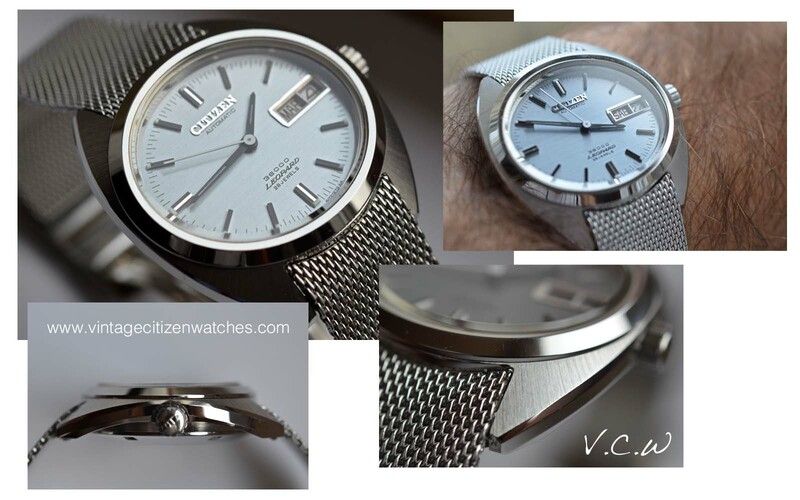 The first thing you notice when holding the watch is the beautiful mesh stainless steel bracelet that fits the case as a high end modern watch would. The case is stainless steel too and has an interesting oval shape, with integrated lugs. 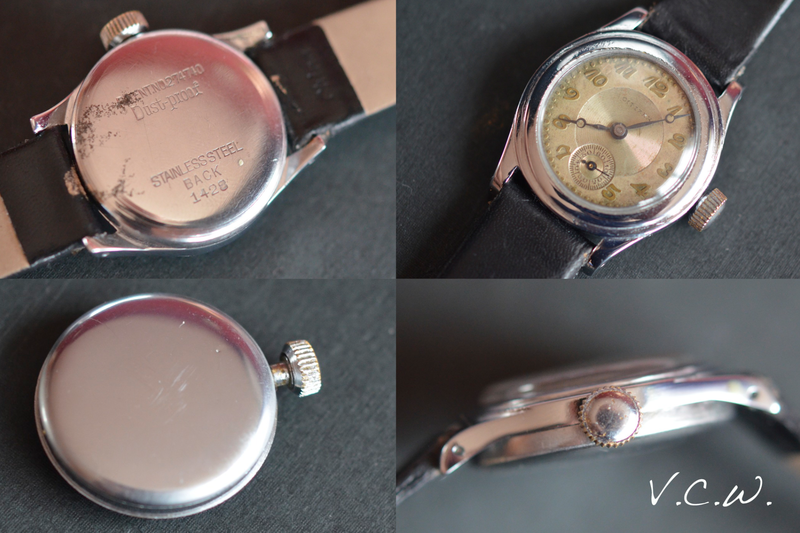 The bezel is polished and so is the entire case except for the frontal surface that has a radial brushed finish. The crown is simple, signed CTZ. Another detail is discovered when seeing the watch from the side: a beautiful arched shape, following the wrist of the lucky wearer. 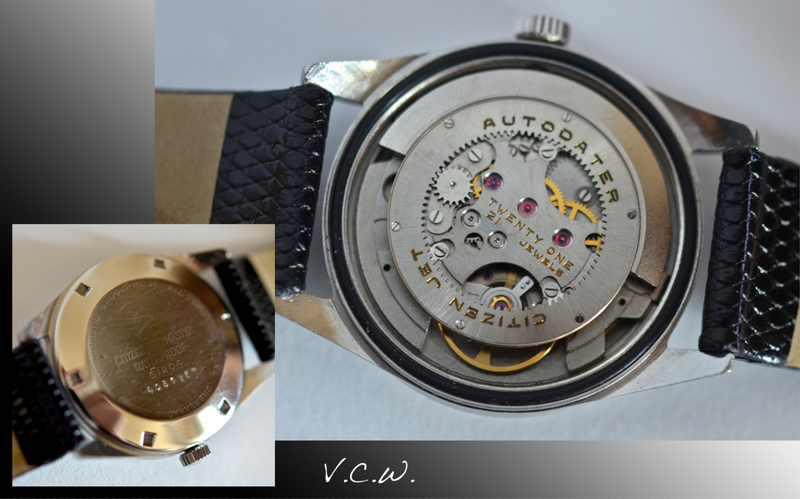 The calibre inside is the Citizen hi-beat parashock 7230, running at 36000 bph. It has 28 jewels and a beautiful white sweeping central second hand that hacks, it can be winded by hand also and has a quickset date feature. The day is set by advancing the hour hand pass midnight. 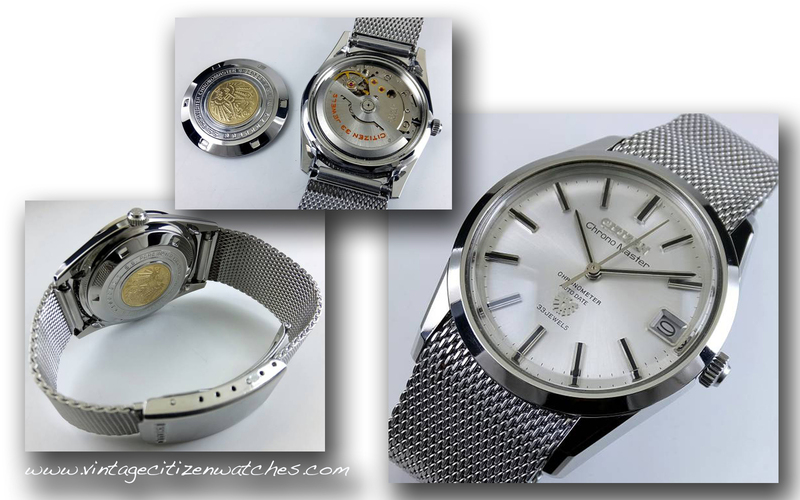 A beautiful elegant watch and I consider myself to be very fortunate to have found this time capsule in a NOS state, even though it is made on April 1974.
later edit: I found the watch in the next picture on yahoo japan so the pictures are not mine but belong to the seller. This is the first solid Gold superbeat 10 Leopard I see. There are also a few models in stainless steel and some gold plated Leopards too, but this is the first I see in solid gold. Needless to say it is in perfect condition. The selling price is JPY 350,000. 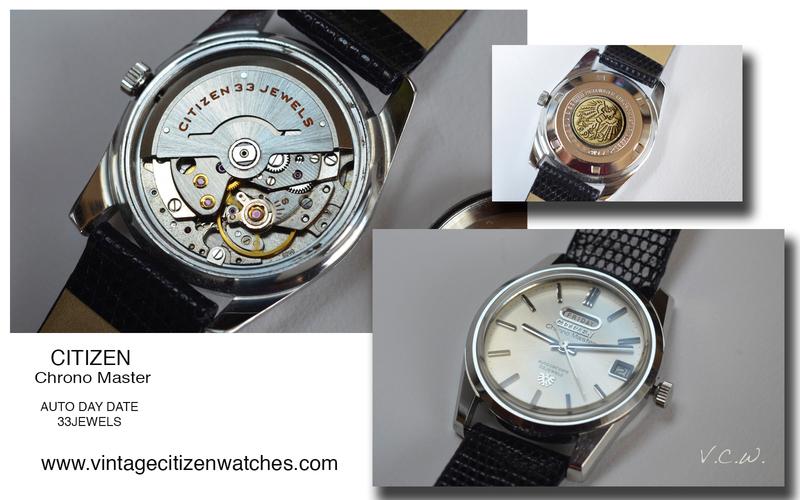 Here is a scan made by me of the Citizen calibre 72xx from a vintage Citizen catalogue. 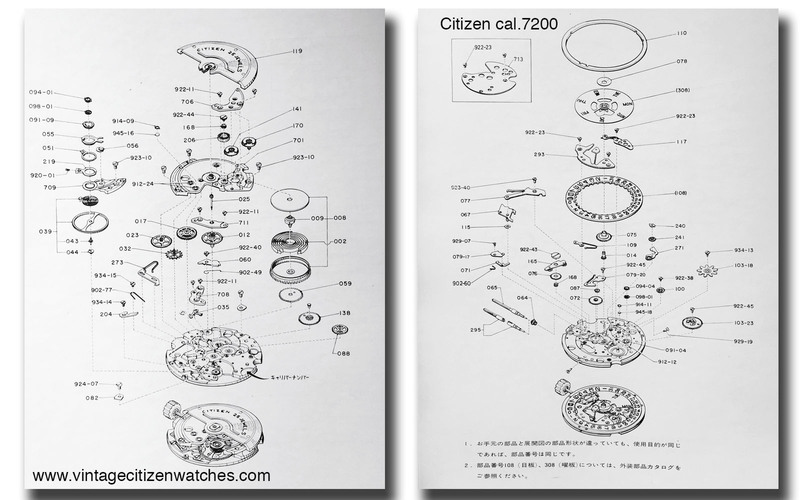 I hope it helps understanding a little better the inside of these beautiful watches. 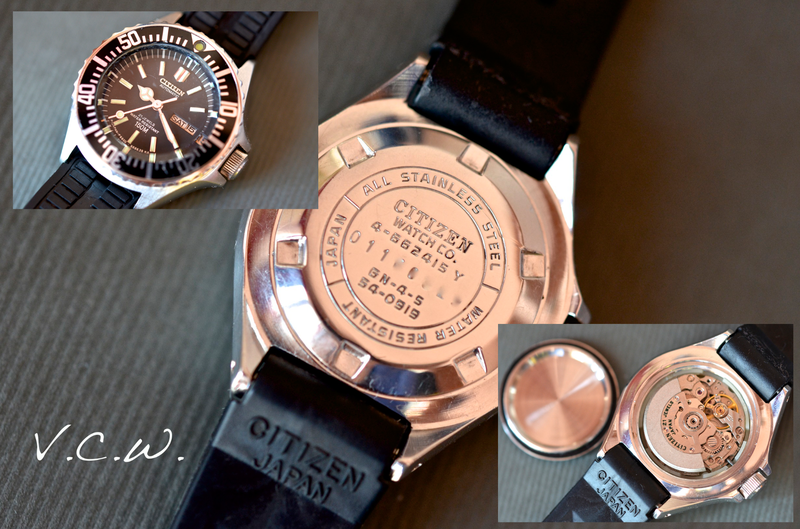 This is the vintage Citizen ladies diver. This is the ultimate one, the real one. 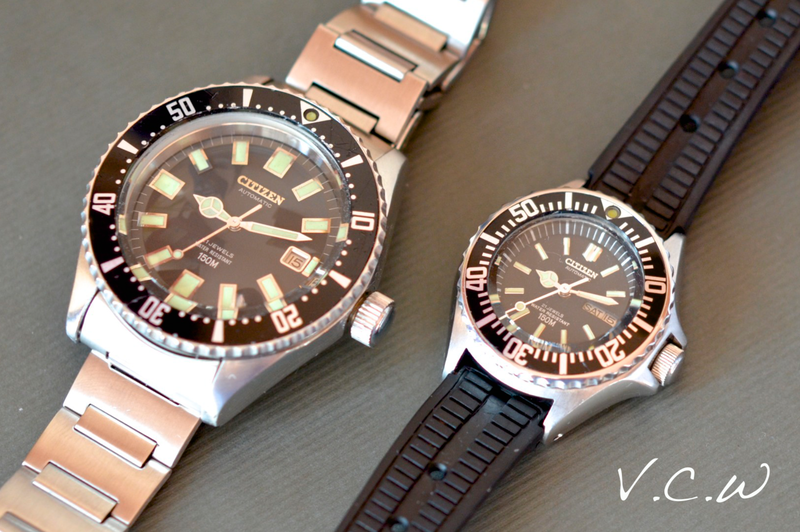 This model has all the specifications that define a diver. 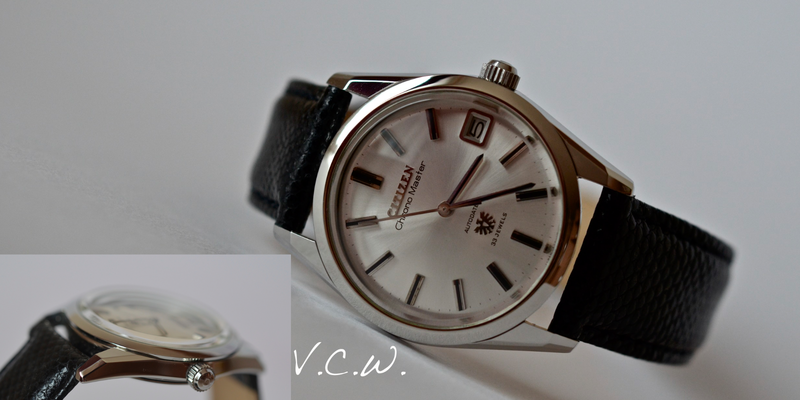 My better half says it is even better than the men model of the same time frame, witch is the 52-0110 presented in the picture. I tend to agree with her (well, I have no choice but to agree with her 🙂 ). 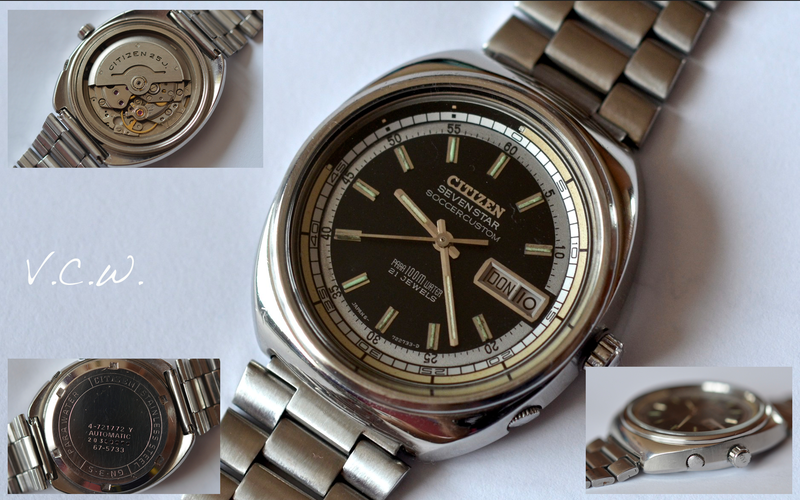 Read about my watch here: https://vintagecitizenwatches.com/2013/12/24/citizen-automatic-diver-150m-52-0110/ Mine was made in 1978 and hers in 1980. The case is small, made in polished stainless steel but with a brushed face that doesn’t reflect light the same way as a polished surface would. 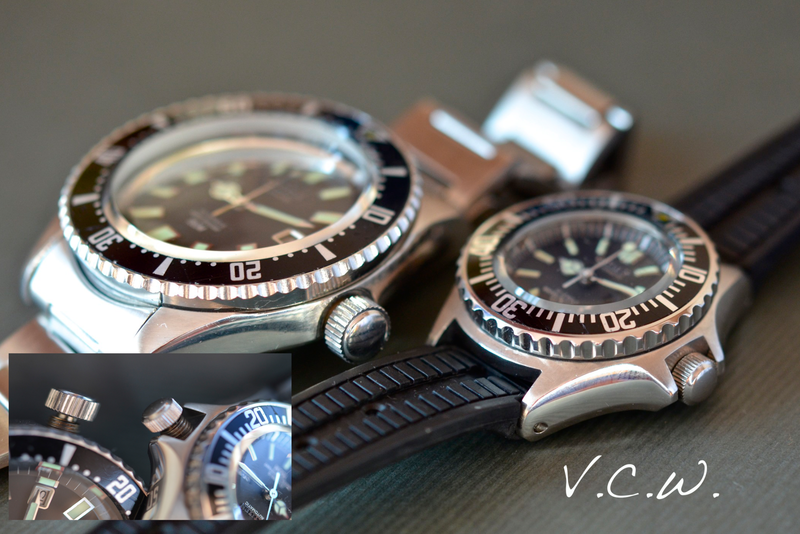 This is mandatory for a diver so the time can be easily read without light interference. 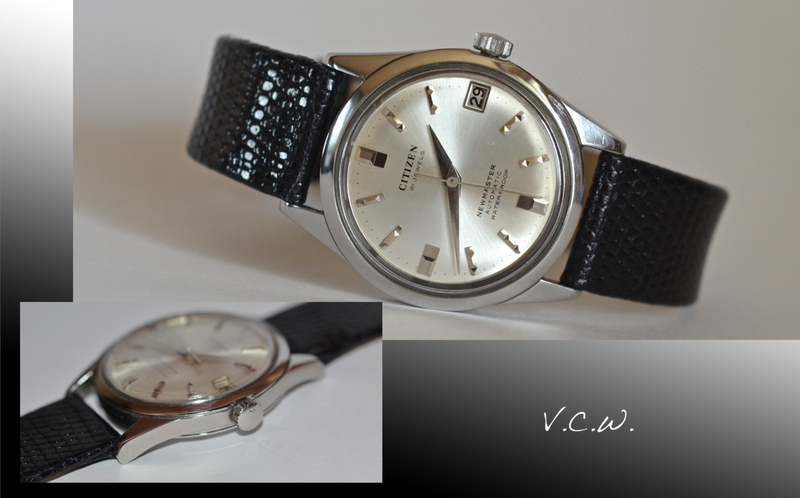 Compared to the men model, this one has some other elements that gives it a nice diving touch: crown guards, lug holes (for easily changing the strap) and unidirectional rotating bezel (60 clicks). 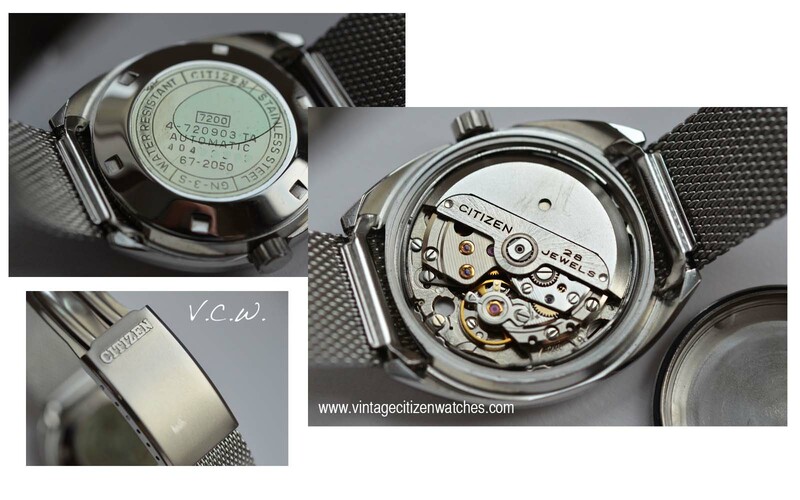 By contrast, the big brother has only a friction type bidirectional bezel, no crown guards and no lug holes. 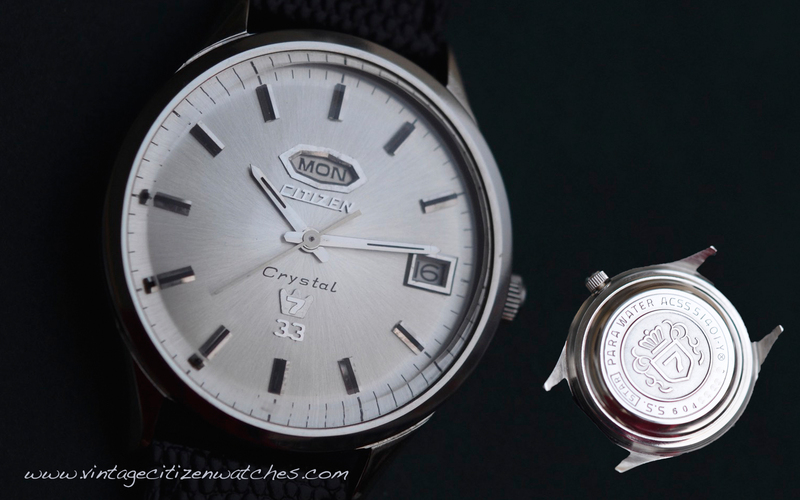 The water resistance is similar (150m) and both of them have a large screw-in crown, an easy grip bezel with a beautiful aluminum insert and a thick flat mineral crystal. 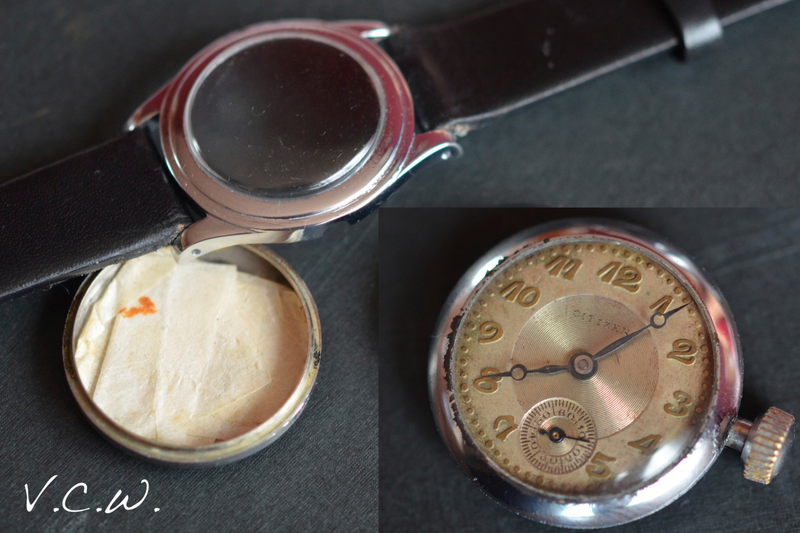 The underside of the crystal is concave, magnifying the hands and the dial. 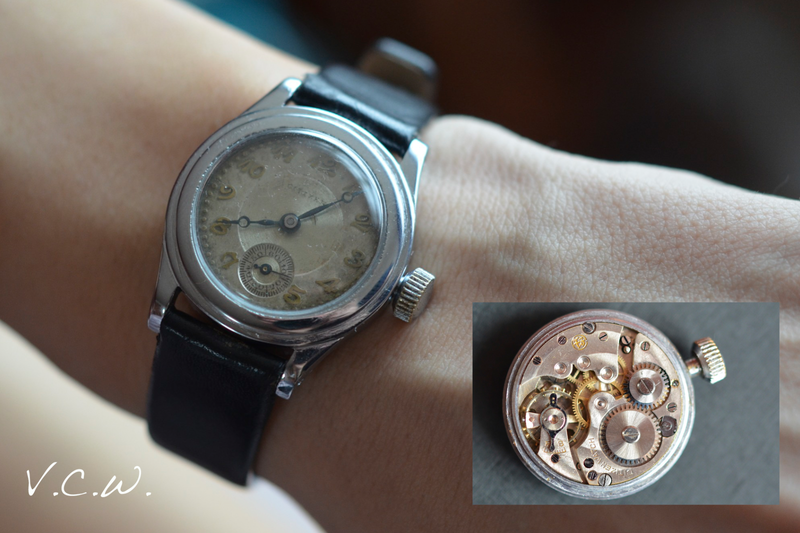 The dial and the hands are very similar. 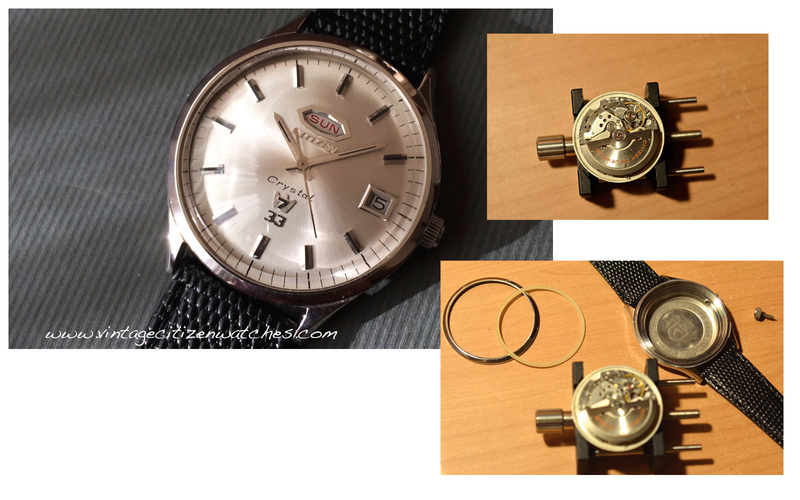 Both the ladies watch and the men watch have a black dial with applied luminous hour markers. The hands are similar (Mercedes hours hand, spade minutes hand and a seconds hand with a luminous dot close to the tip). The small brother has a day and date window. 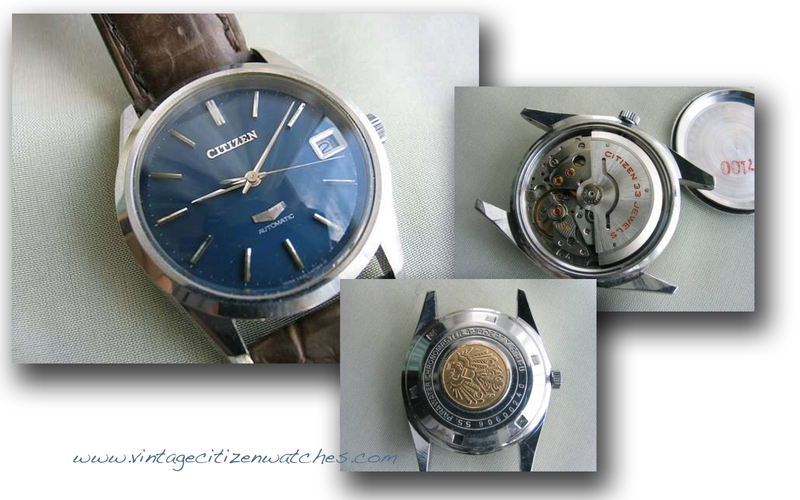 Both of them are marked in the same way: Citizen, automatic, 21 jewels, water resistant, 150m. My girlfriend’s watch has a raised ring part of the dial with seconds markers. That gives a great depth feeling to the entire watch face. 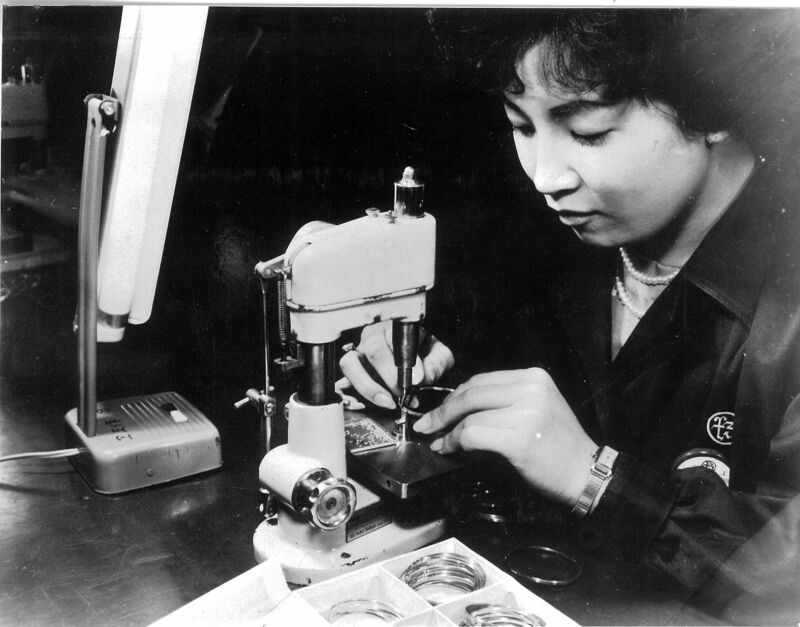 The movement is small too, suited for the small case. 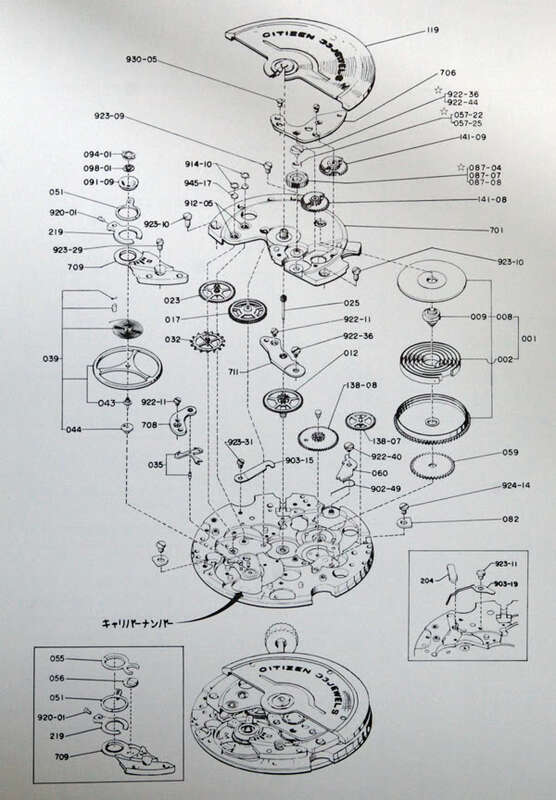 It is an automatic, 21 jewels movement. 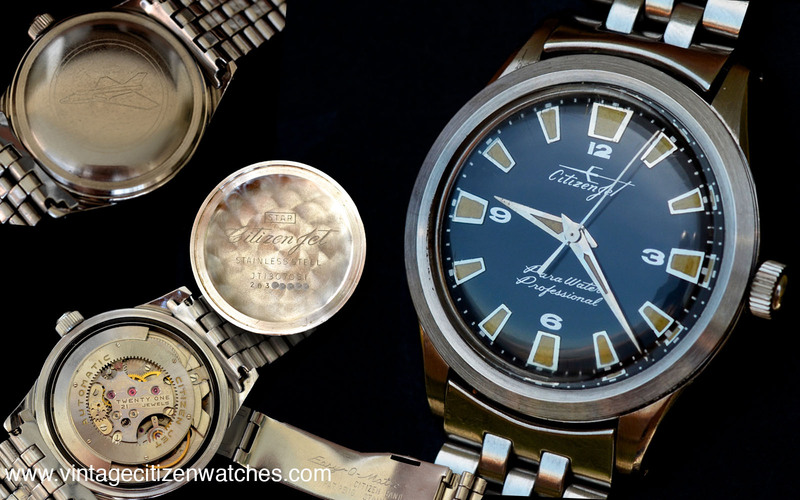 Citizen named it calibre 6601, and can be found in a variety of ladies watches. Not much to say about it except the fact that it displays both the day and the date, can be hand wound and a particularity is the fact the date changes by pulling repeatedly the crown. The strap is the original (pretty impressive for a 30 years old watch), mint condition rubber, with a stainless steel buckle. It is very comfortable, very easy to find the perfect adjustment hole. The width at the lugs end is 14 mm, but it integrates really well with the flowing case design. 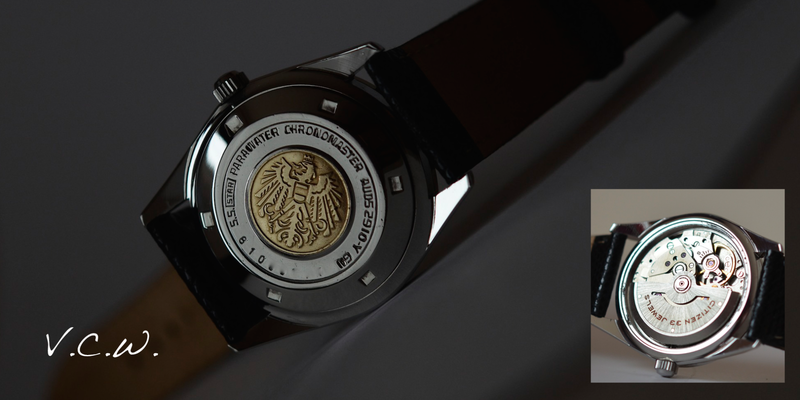 I think it would look good on nato (still looking for one so small) and i have already ordered a mesh stainless steel bracelet for it.